How Can a Life Settlement Supplement Your Retirement? When seniors with life insurance policies who are heading into retirement or who are already retired realize that they have poor financial prospects, the first thought that comes to mind is one of despair. It’s the thought of being forced to sell something near and dear to them, such as a home that they’ve lived in for most of their lives, property that they want to retire to or assets that they wanted to pass down to their children or grandchildren. Unexpected medical expenses might be taking a toll on retirement accounts and making the years meant for relaxation into years of worry and limited possibilities. In such cases, many seniors decide to let their life insurance policies lapse or opt for a cash surrender offer from the company they bought the policy from. Many have no idea that life settlements are an option and, in fact, one that can be much more lucrative than surrendering the policy. Life settlements can be a great way to give a boost to your retirement fund, helping you to cover the costs of a home, medical expenses, retirement experiences, or creating a foundation for financial stability and safety for your children. The United States Senate Special Committee on Aging conducted a study in 2009 which concluded that life settlements yield eight times more on average than the cash surrender value for policies offered by life insurance companies. Yet many seniors still don’t know that life settlements are a possibility. What is a life settlement? Simply put, it means selling a life insurance policy to a buyer for a certain sum of money upfront. The buyer takes control of and responsibility for the life insurance policy, paying all future premiums and receiving the end of life payment upon the passing away of the previous legal holder of the insurance policy. A life settlement entails getting money immediately for a life insurance policy, and the new owner receiving the payout of the policy once the previous holder passes away. Life settlements are a relatively new industry, one which was made possible by a Supreme Court ruling in 1911 that deemed life insurance to be private property, which could be sold and transferred to third parties without limit. Since then, the industry has grown and is now worth billions of dollars, and has helped thousands of seniors lead more dignified and financially secure lives in retirement. There are a few worries or concerns that some people have when considering a lifetime settlement. Most of these concerns have to do with commissions, privacy, and the idea of profiting from death. Let’s go through each of those. Firstly, people are worried about what kind of commissions would be taken out of the lifetime settlements paid out to them. This was an issue at the beginning of the lifetime settlements industry when unethical brokers took advantage of seniors in difficult and desperate situations and took commissions of up to 50% of the total life settlement. Some didn’t even disclose this fact to their customers. Industry regulations have come far since those times, with lawmakers placing a limit of a 30% commission on lifetime settlements and requiring brokers to disclose the amount they take in advance. Reputable, established companies have no interest in taking advantage of their customers in such ways and hurting their reputation and profits in the long term, so be sure to shop around and compare rates – every legitimate broker will provide these to you as the first step in the process of selling a life insurance policy. This is understandably an uncomfortable thought, but you can view it as a mutually beneficial transaction. The seller profits immediately by receiving a cash payment that will be, on average, larger than the policy surrender option offered by the insurance company, and the buyer – nowadays, usually a large financial investment fund – will profit later. Lifetime settlements are not dissimilar to annuities, widespread financial instruments from which the sellers stand to gain upon the passing of an individual. Finally, there have never been any cases of foul play reported in connection to lifetime settlements. If that is a worry or you’re concerned about a single person profiting from your death, you shouldn’t sell to a private individual, but rather instead to licensed life settlement providers, which typically buy lifetime settlements as a part of larger financial investment package, in this way mitigating their own risk. Who Qualifies for a Lifetime Settlement? This is a crucial point to clarify because while a person may want to sell their life insurance policy, it’s not a sure thing that someone will want to buy it. It’s a relatively straightforward risk vs. reward calculation, so let’s go through the criteria upon which a policy is judged by a potential buyer. This is probably the most important factor that determines whether a buyer will want to purchase your life insurance policy. Most successful candidates for life settlements will be 65 years of age or older. Simply put, the shorter your life expectancy, the more valuable the offer for your life settlement will be. This is because the buyer will have to continue paying the premiums until the seller’s passing. Most buyers are looking for life insurance policies with a death benefit of at least $100,000. Some buyers are prepared to take less, but, in general, a death benefit of one hundred thousand dollars is the minimum that buyers are looking for. This factor is not independent of a prospective seller’s age – the lower the life insurance payout, the older the insured seller will have to be for most buyers to find such a deal attractive. The same principle applies the other way around – the higher the death benefit, the younger the seller can be. This is because of due diligence costs as well as the above-mentioned premium payments. Not just any life insurance policy will do, unfortunately. The most widely accepted policies are whole life, universal life, or convertible term life policies. Other life insurance policies are usually structured in such a way that they have more risks attached to them, making them less attractive to a potential buyer. Check our FAQ’s for more information. This is a question on every prospective seller’s mind. How much would a life insurance policy be worth? What are the number? Often a life settlement is worth 20% or more of the death benefit of a life insurance policy. Therefore, if your death benefit is $100,000, you’d be able to get over $20,000 for your life insurance policy. For individuals that are experiencing significant health issues this amount can increase to over 80% of the death benefit. On a life insurance policy with a $100,000 death benefit this would net the policy owner $80,000. The method used to calculate the value is called a discounted cash flow analysis, with the seller’s life expectancy playing a critical role in the potential value of the life insurance policy. If you’re interested in selling your life insurance policy, you should go over the numbers carefully with a reputable broker or a financial advisor and ask them about the life expectancy underwriter services they use. The difference between a life expectancy of 10 more years and one of 13 more years, for example, can mean the difference between a sellable life insurance policy and an unsellable one. The lower the seller’s life expectancy, the more valuable the life insurance policy and the more the seller can get for it. The process of selling a life insurance policy is relatively straightforward, much like that of any other financial asset. After you decide on a broker and affirm to them that you wish to go through with the life settlement and sell your life insurance policy, due diligence and background checks (in this case, medical ones) will take place, and your broker will provide you with several documents. Once you’ve signed the documents, the broker or provider will make a formal legal request to the life insurance company to transfer ownership of the policy to them. The payout you will receive will be transferred to the care of an escrow agent. Once the transfer of the policy is complete, the insurance company will confirm that the transfer has happened, confirmation will be forwarded to the escrow agent, and your funds will be released to you from escrow. That’s the gist of the process. Of course, you should do a good deal of preparatory work, consulting with a financial advisor about what course of action is best for you, communicating and negotiating with your broker, and so on. All in all, a life settlement can be an effective way of getting a substantial cash infusion for a more stable and secure retirement. As with any sale of assets, you should do your homework and consult with a licensed life settlement broker before going through with it. While life settlements do yield eight times more on average than a policy surrender option, they are only profitable if your policy meets specific criteria. 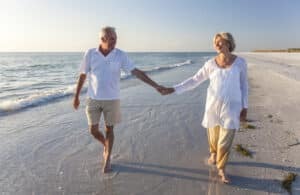 A life settlement, however, is not a very complicated engagement, and this guide has everything you need to know to get started. Good luck!